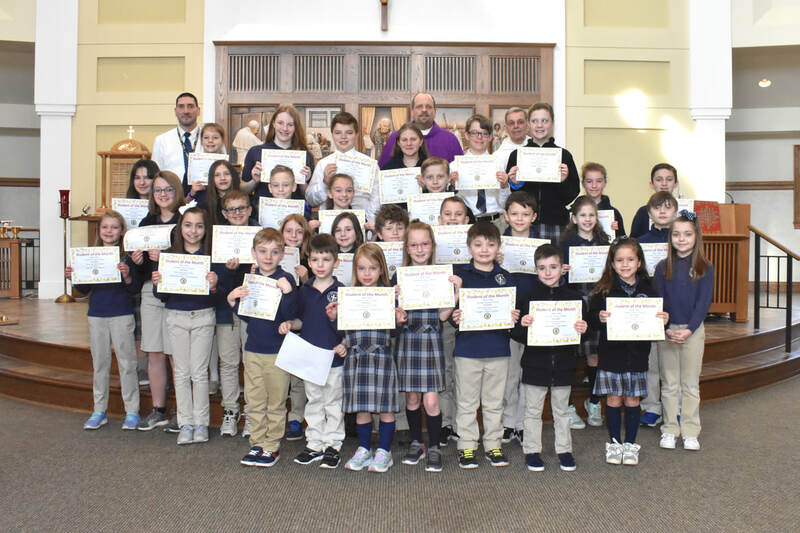 On Friday, April 12th, Southtowns Catholic School celebrated “Student of the Month”. The Students that best demonstrated “Patience” in the months of December, January & February received a certificate. 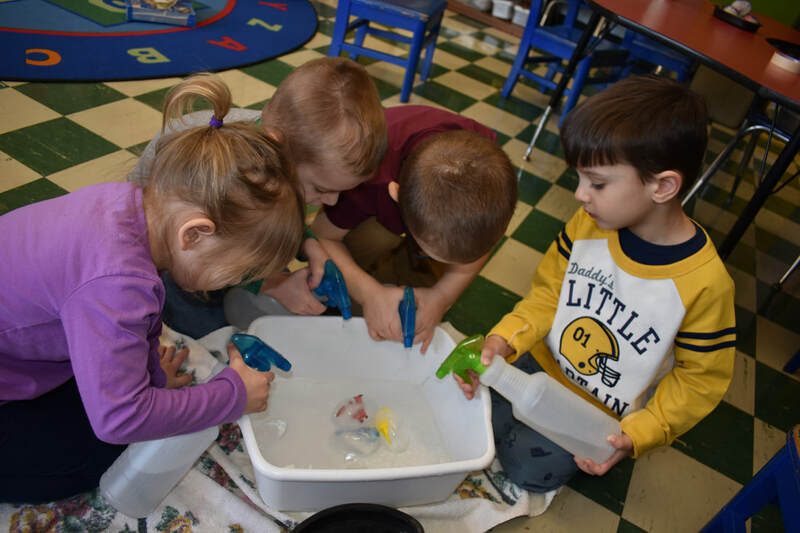 Our Preschool is learning all about Dinosaurs! They put together dinosaur puzzles, made a dinosaur craft and thawed their very own dinosaur eggs! I wish I was back in preschool to learn about dinosaurs!!! Hello, my name is Terry Walkowski. I teach art, Kindergarten readiness through eighth grade. This fall I began team teaching Pre-K 3 two mornings a week. Their eager, smiling little faces make me realize there is hope for a bright tomorrow. Congratulations to SCS 2019 students! 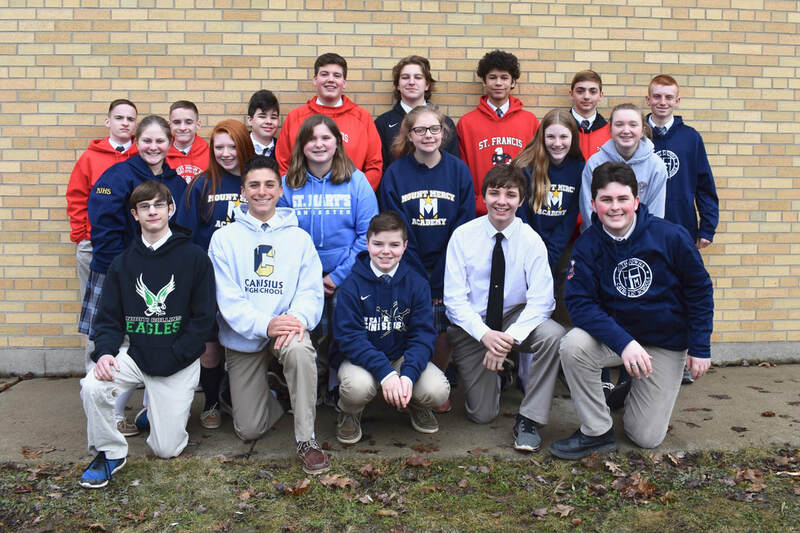 Southtowns Catholic School is pleased and proud to announce the following students have been awarded Honor Roll Certificates for the Second Trimester of 2018-2019 School Year. The Schoolstore.com reminder is coming home in backpacks. Our parents can buy a gift card from SCRIP and then use it at one of the merchants at schoolstore.com. There are over 500 merchants to pick from that include Walmart, Disney, Kohl's, Under Armor & many many more. You are buying directly from the store website and SCS will receive a percentage of the sale. Visit schoolstore.com, enter Southtowns Catholic School, click merchants and Footlocker. I personally have attached my schoolstore and my walmart grocery app so that every time I buy milk, SCS will get a % of the sale. It all adds up! 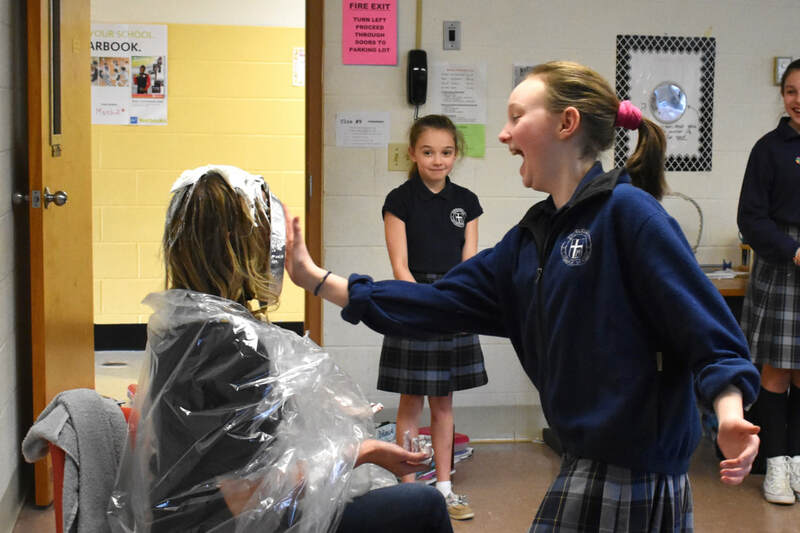 Thank you for continuing to support Southtowns Catholic School. 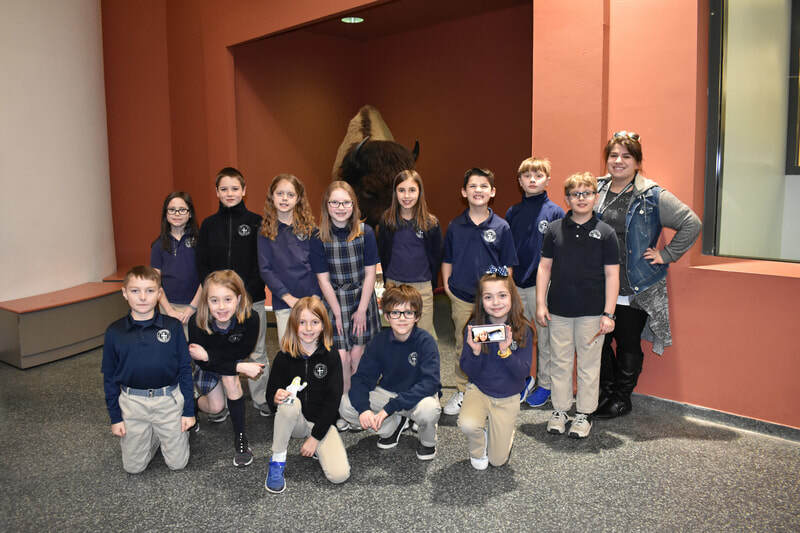 Mrs. Chelsea Ebert's Grade 4 class had a STREAM Field Trip to the Buffalo Museum of Science. 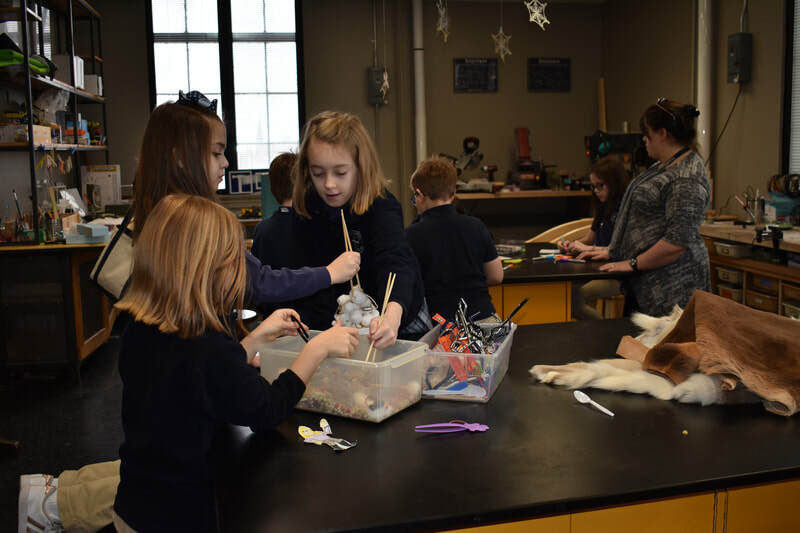 The students are learning about "how animals adapt to suit their environment." At the 1st table, they looked at how bugs adapt. 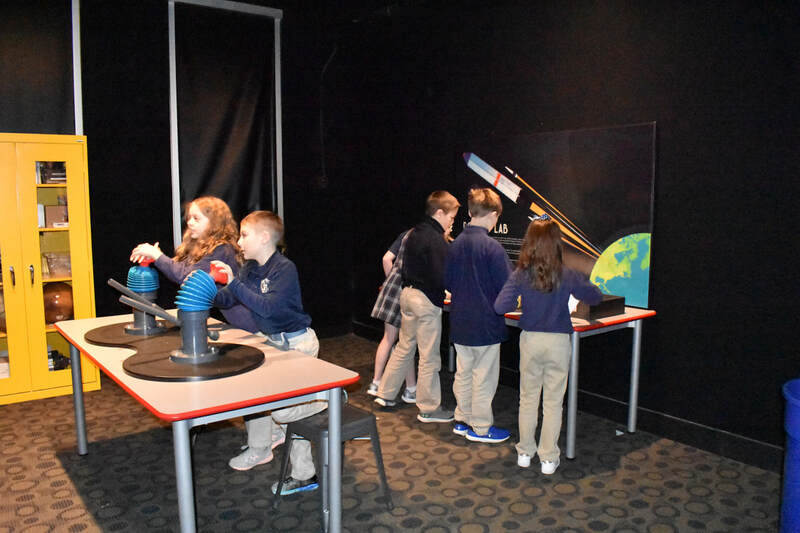 At the 2nd table, they used different tools to mimic bird beaks and felt kangaroo fur. At the 3rd table, they practiced echo-location and made fan blades for a wind turbine. This mimicked how whales move through water. 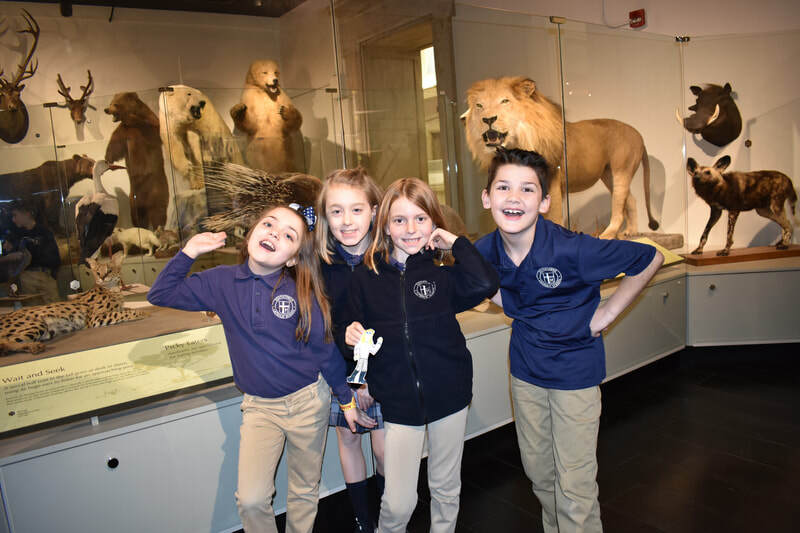 After they were done, they had free time to tour the museum. 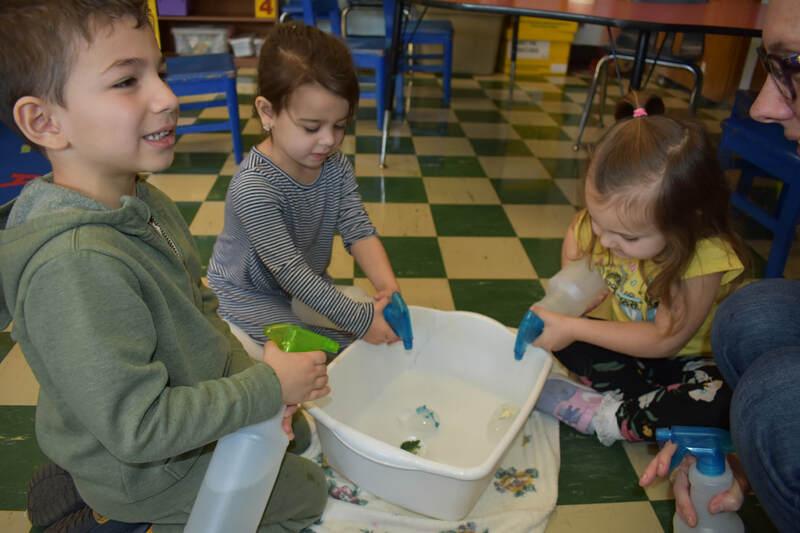 We love the "S" in STREAM! 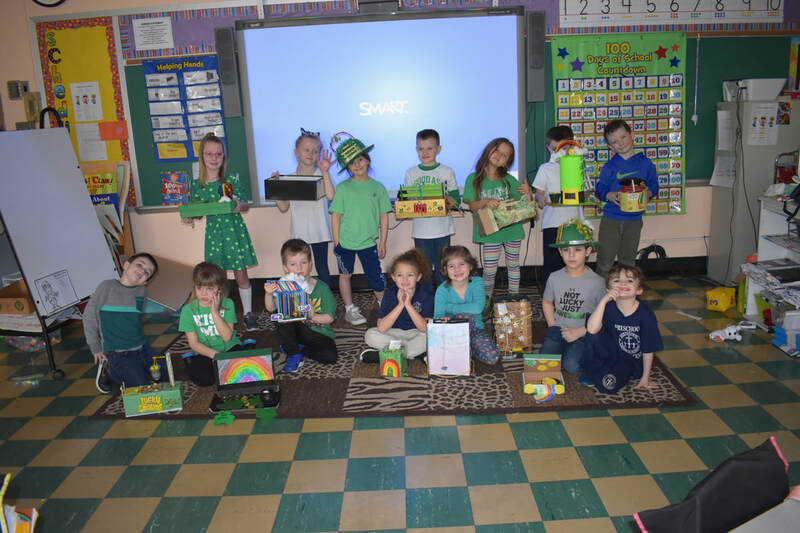 Mrs. Tina Hedges' Kindergarten students built leprechaun traps with their families for St. Patrick's Day. The kids explained how their traps work and then set them all around the room. 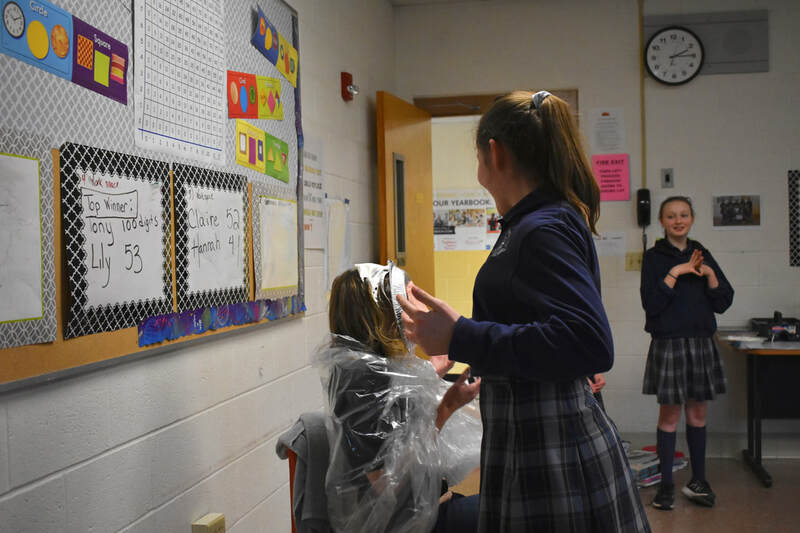 In celebration of Pi Day, Mrs. Long asked her Math students to memorize "Pi". 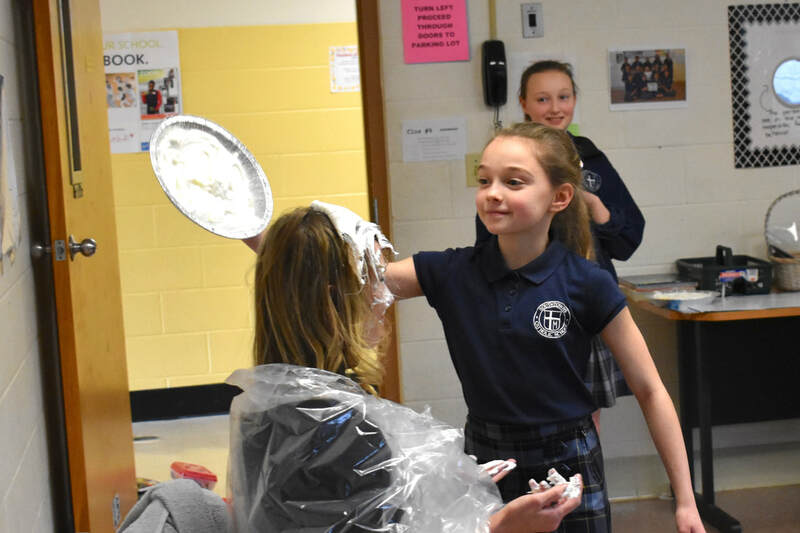 The student from each class that memorized the most digits was awarded the chance to "Pi" her. Congratulations Claire Rogan with 52, Lily Katra with 53, Hannah Kraetz with 41 and Tony Fera with 100! Thank you Mrs. Long for making "Pi" day more memorable!!! Please join us for Mass with your children on Wednesday, April 3, at 6:30 pm. This will be a Welcome Mass for Fr. Sean. All students will be participating in the Mass. They will be paired up with their “church buddies” and sit where they normally do at Friday Mass. 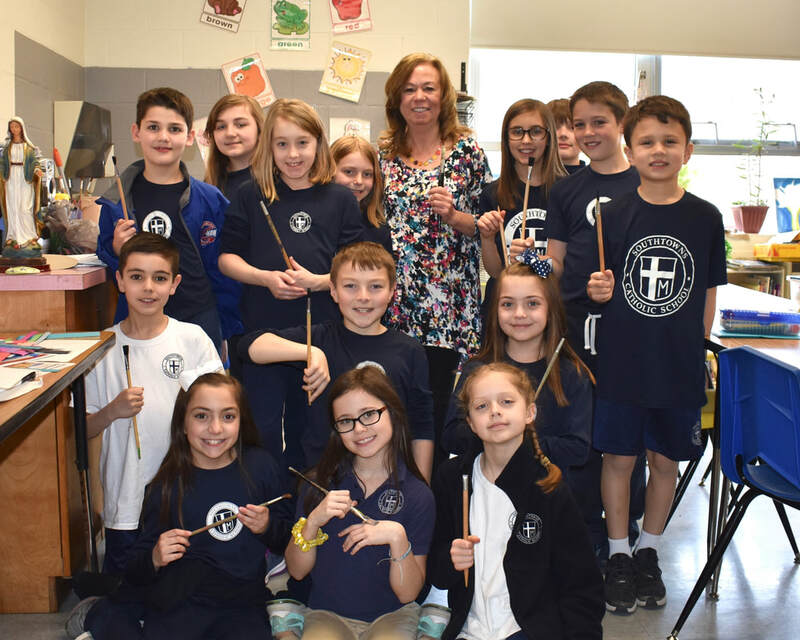 After Mass, the children will be going to the Gym/Classrooms where they will be supervised by members of the National Junior Honor Society and participate in activities. At that time the parents will remain in the church for a short parent meeting. Following the meeting there will be a reception for Fr. Sean in the Gym. Refreshments will be served. I look forward to seeing all of you that evening.